Like their homeland, these five generate a huge and expansive sound. 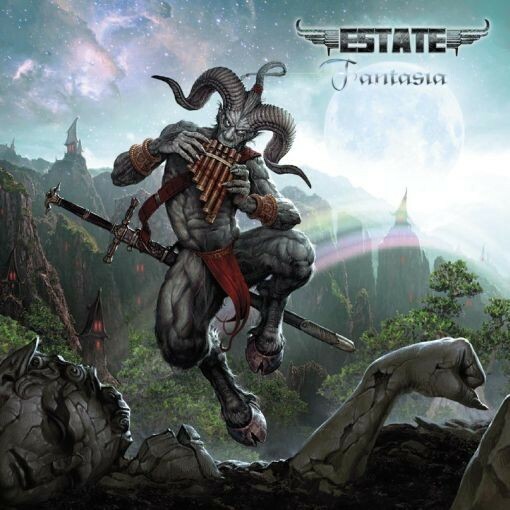 'Estate' are five "Metallers" from Mother Russia and 'Fantasia' is their very first recorded musical statement. Yes, this is Heavy Metal. Yes, this collection is not your typical sounding Heavy Metal group. And yes, these five are worthy of your ear! 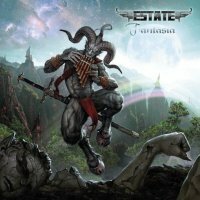 Mixing elements of hardened Metal with straight Rock and a sprinkling of Russian Folk music and folklore, Estate are making an exceptional creation in music, building a brawny foundation within the realm of Metaldom! They sing about valour, honour and mystical heroes and their music portrays the same emotional and, at times, atmosphere. With titles such as 'Silent Dream', 'The War', and 'Holy Land', expect a complete adventure within the eleven tracks on 'Fantasia' and a poignant movie starts to reveal itself! In my reviews I often use descriptive words such as epic and majestic, these and other descriptive words should be used liberally throughout any review of 'Estate's music...their compositions are certainly epic and majestic. Although they are a Metal group, the music is very melodic and of course up-tempo (in most places). It is also hard and furious and when these five show their Folksy side, well you must hear it! No strangers to the road, Estate have many live performances under their belt – especially when you consider as a band they are really only two years old! In Russia, they are very well known and that will spread throughout the continent during 2015 I suspect! Meshing the guitars and keyboards seamlessly, giving us that driving rhythm and surrounding everything with a Neo-Classical bend, are five very accomplished and classically trained musicians. Aleksey Seleznev on guitar, Dmitriy Efimov on keyboards are joined by the fierce rhythm section of Nikolai Pikhurov on drums and bassist Vadim Lalayan. Bringing those storied lyrics to life, and with great certainty, is Alexander Chumakov. Combined, these five talents lay down some unique Rock-hard stylistic creations that are of a rare breed not often heard in the constraints of Heavy Metal. Estate means business and their debut 'Fantasia' does the business of music in no uncertain terms, breathing fresh air and giving us a peek in to the musical soul of their homeland!